Samsung's TouchWiz UI is included on all its devices, it's interface has improved a lot lately but it's functionally and customization-ability still needs improvements. Finally, it looks like Samsung decided to make it easier for TouchWiz to customize their phones. 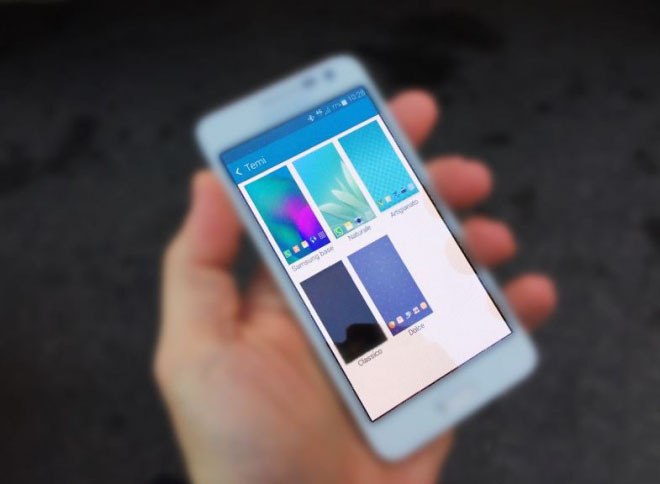 With Android 5.0 Lollipop, Samsung will add theming support to the New TouchWiz UI to offer the ability to quickly change the look of the device and often goes beyond just changing the UI Colors, wallpapers and icons. 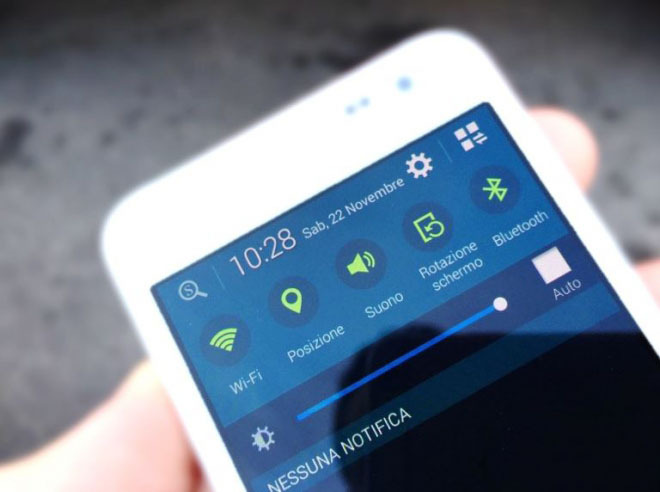 As you can see on the photo above a "Themes setting screen" is visible on the Galaxy S5 running the latest Android 5.0 Lollipop build from Samsung. It's not clear how extensive the customizations via the Themes will be or which devices will get the new functionality presumably the current and last year's Galaxy S and Galaxy Note, the Galaxy Alphas too. Another change is that the S Finder button has been moved to the upper left corner and the Quick Connect button is gone. This will save some space in the notification area. This Update should hit unlocked Galaxy S5 devices Later Next Month (December).